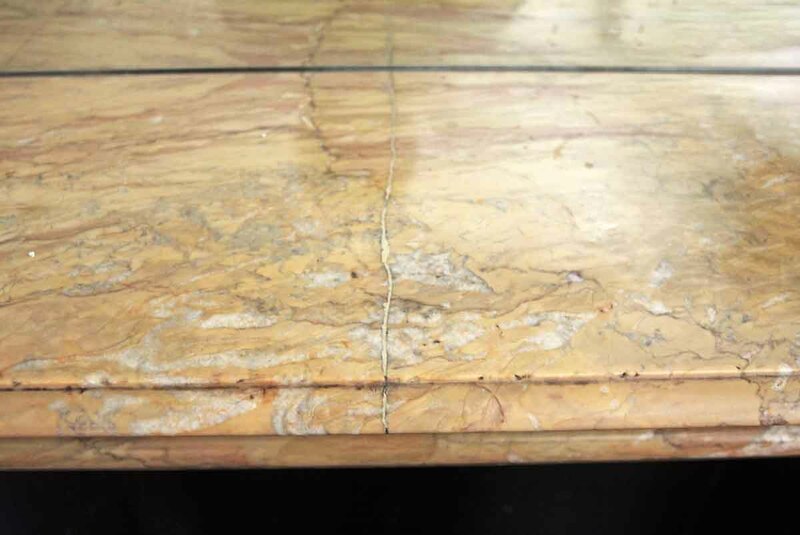 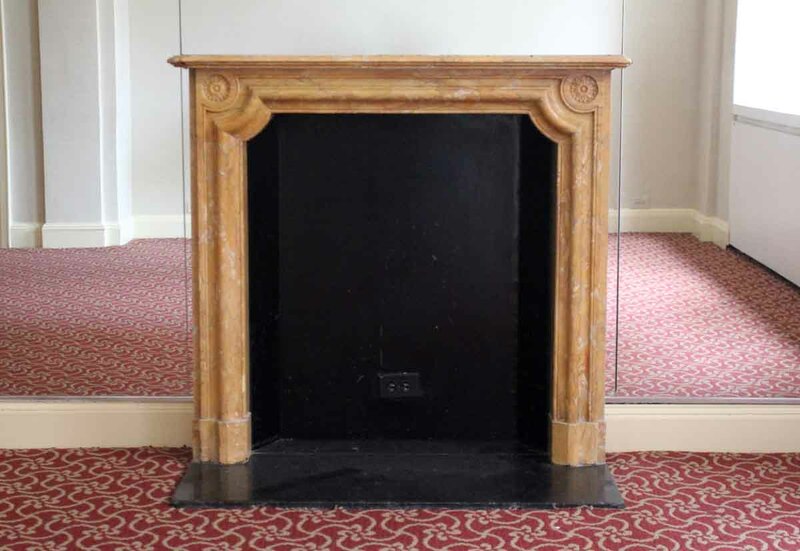 Orange marble mantel with gray, white and burgundy veining. 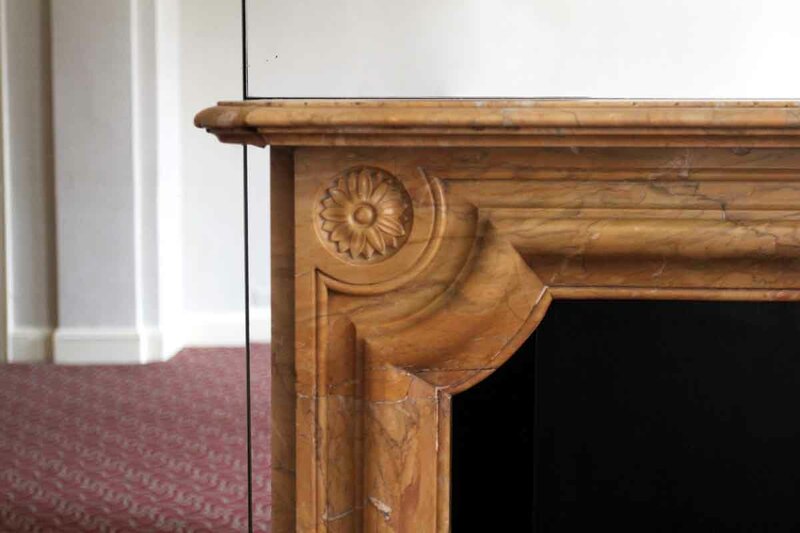 There are floral motifs on the top two plinths. 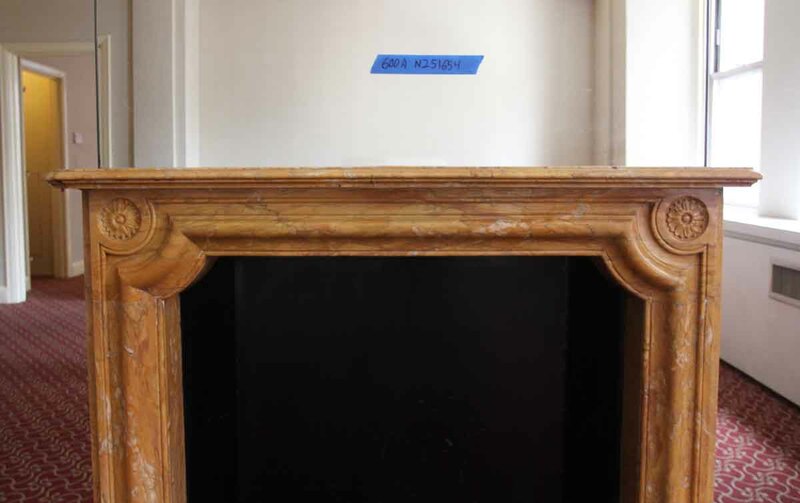 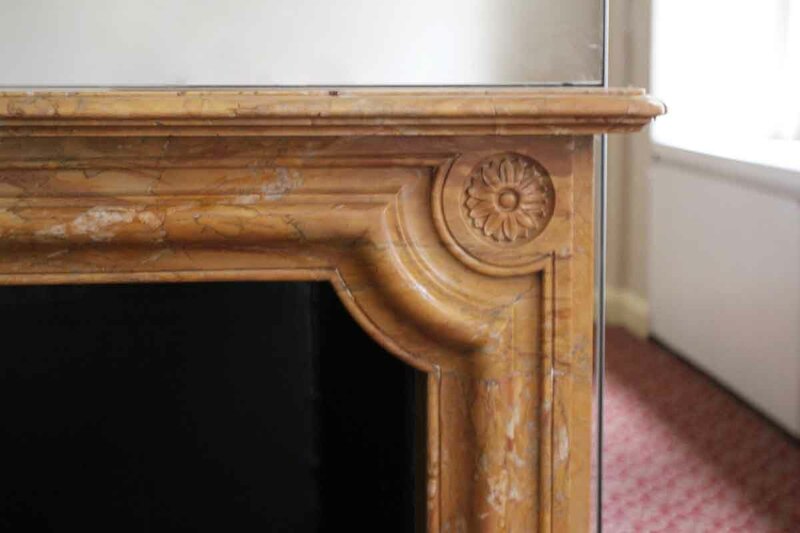 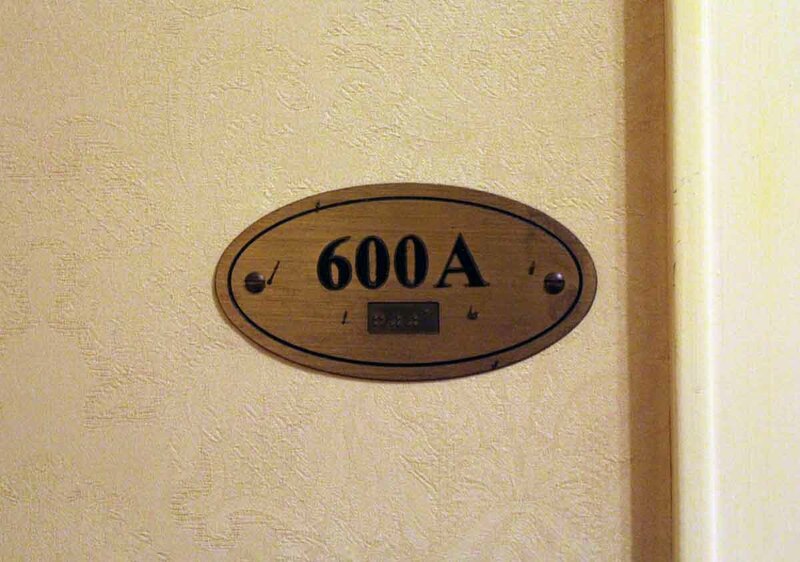 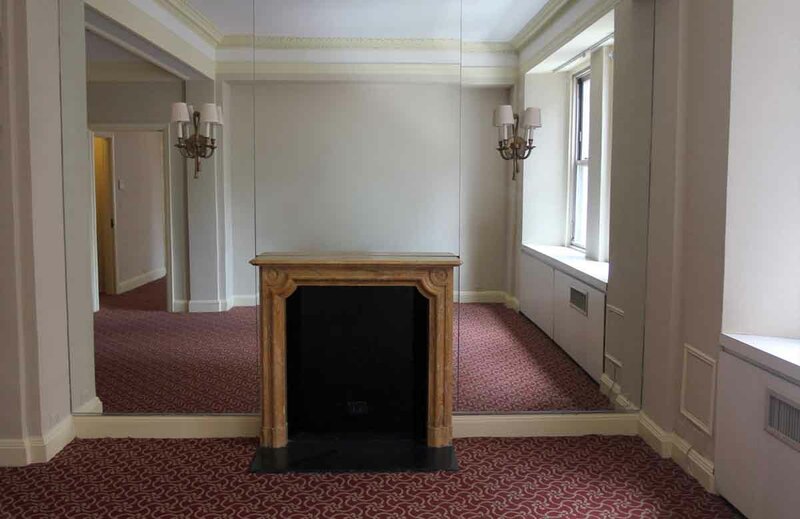 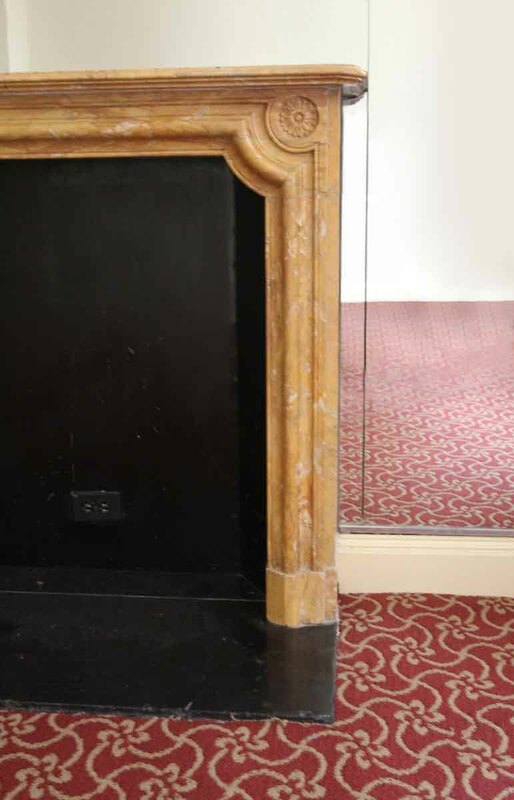 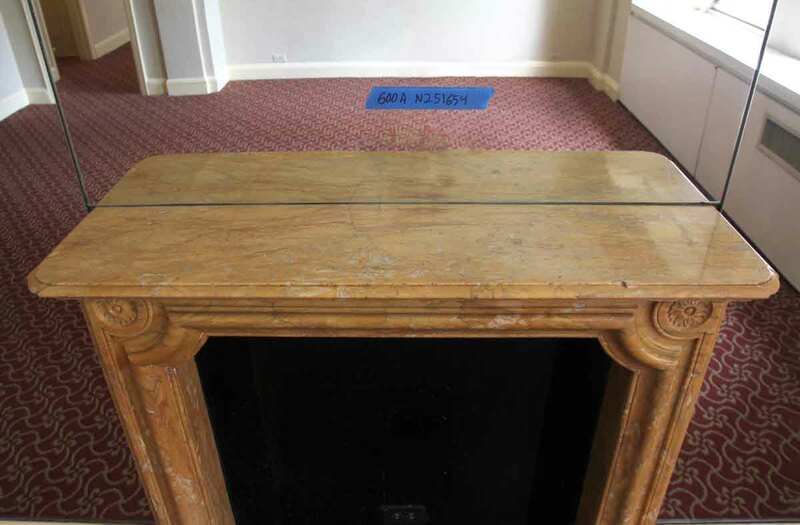 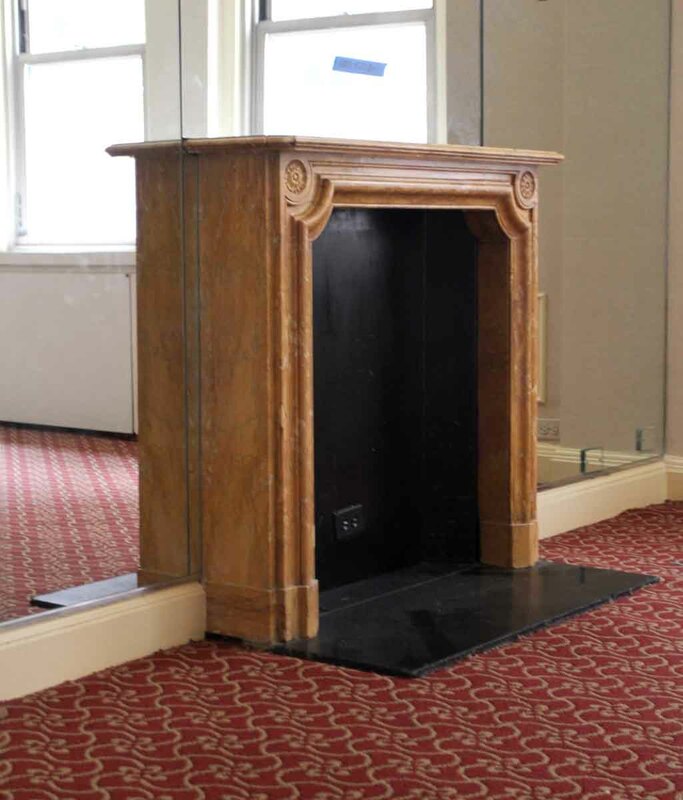 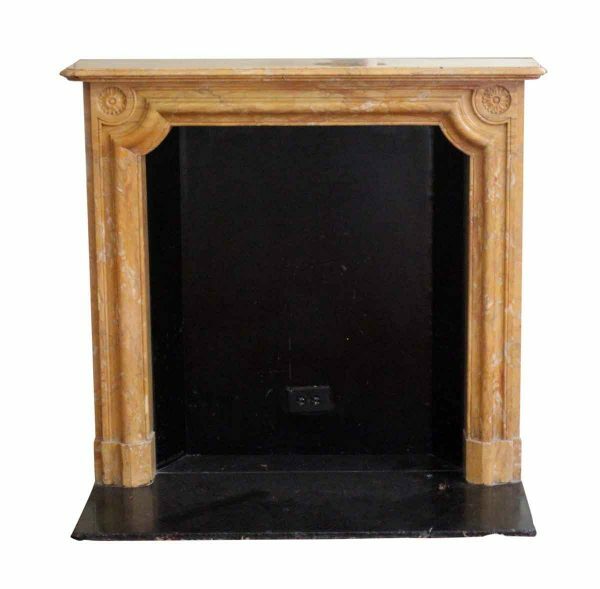 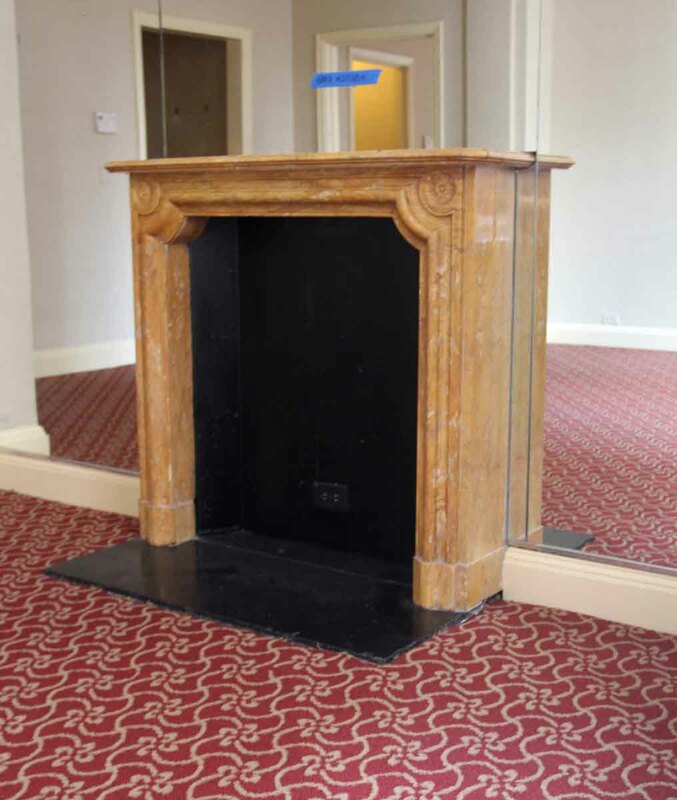 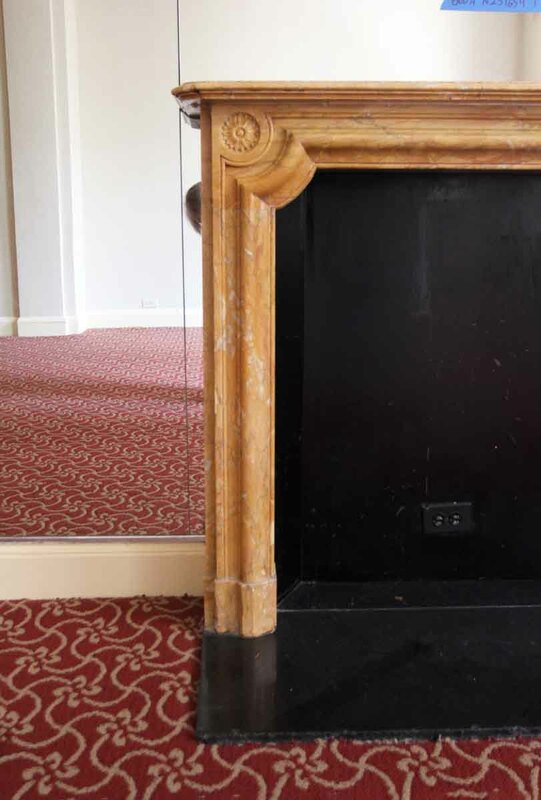 This mantel is original to room 600A. 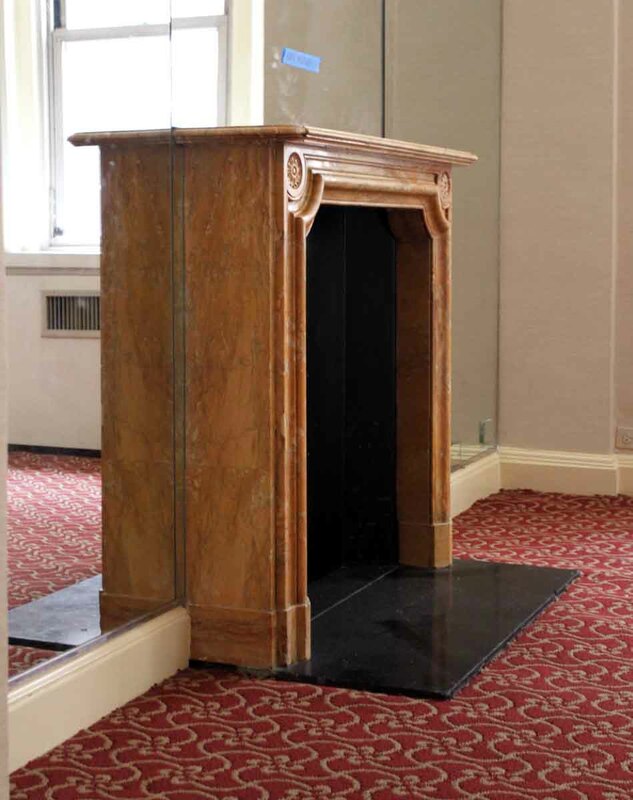 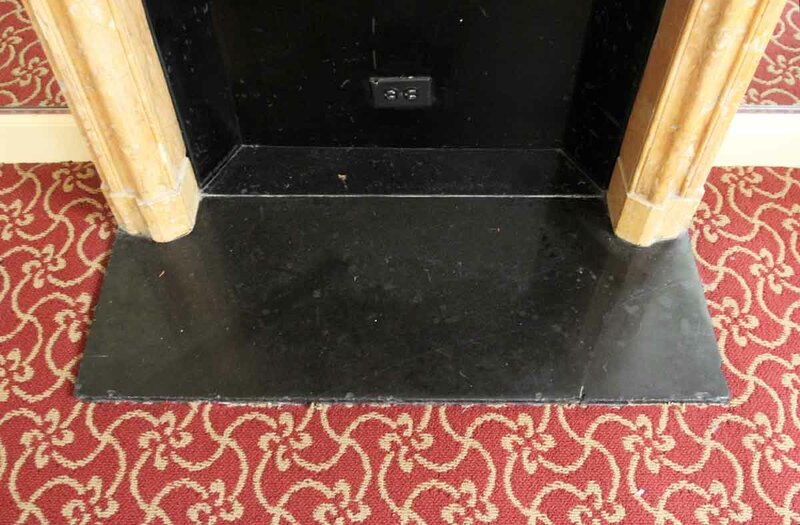 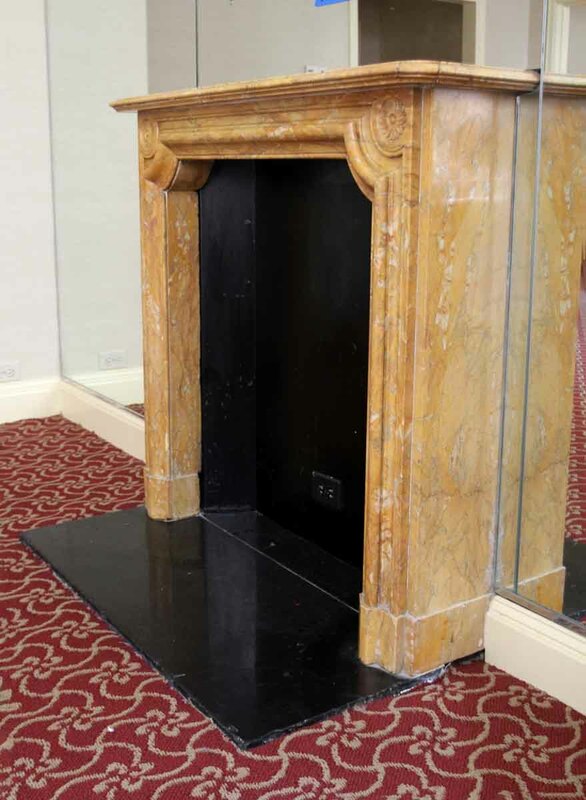 Pictured still installed at the Waldorf Astoria, please request the salvaged condition before purchasing.